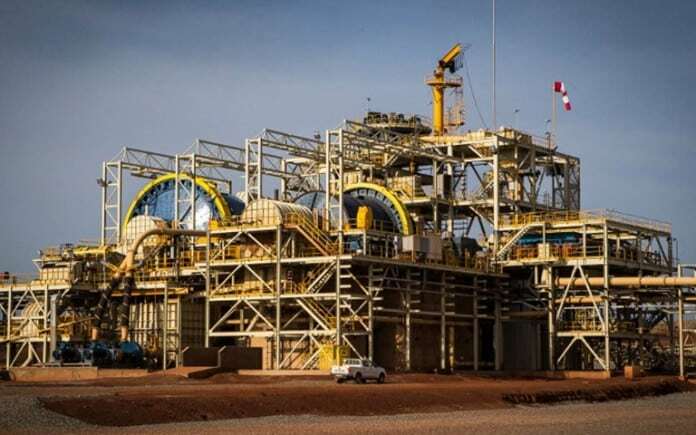 B2GOLD Corporation said it expected to start a $50m mill expansion of its Fekola gold mine in Mali taking ore throughput to 7.5 million tonnes a year from the six million tonnes annually it currently achieves. The company, which today posted its 2018 financial results, also said it was waiting on the results of a preliminary economic assessment (PEA) of Gramalote, a project it shares with AngloGold Ashanti. B2Gold reported net income of $45.1m for the 2018 financial year, a decline on the $62.5m it reported in 2017 partly owing to impairments it suffered on its Nicaragua mine El Limon in the last quarter of the year. Notwithstanding, 2018 represented a good year for B2Gold in which it recorded the first full 12-months of production from Fekola, generating sufficient cash that the company could cut debt to about $480m as of December 31 compared to $700m recorded in debt at the beginning of the year. As already reported in its production update, gold output totalled 953,504 ounces which was near the top end of its guidance range of between 920,000 to 960,000 oz. Year-on-year, this was a 51% increase, equal to some 322,939 oz. The company has guided to 935,000 to 975,000 oz for the current financial year at an all-in sustaining cost (AISC) of between $835 to $875/oz. This compares to last year’s AISC of $758/oz (2017: $860/oz). B2Gold said it had completed the study on Fekola and would embark on the expansion which is consistent with its organic growth strategy – something of a switch from its previous track-record of acquisition by growth. In addition, B2Gold will chase down the potential for mining gold at the Fekola North extension zone. Commenting on Gramalote, which is situated in Colombia, the company said: “If the Gramalote updated PEA is positive, the company will consider, with its joint venture partner AngloGold Ashanti, whether to proceed to a final feasibility study”. B2Gold owns 49% of the venture with AngloGold Ashanti owning the balance. JPMorgan analyst, John Bridges, said in a report that although B2Gold missed its earnings target, there was little for investors to worry about considering the firm’s cash flow generation potential. “We see no reason for investors to worry about the company given its strong prospective cashflow which is allowing it to reduce debt and re-invest in more exploration,” he said. “BTG [B2Gold] is one of a handful of stocks which is trading near all-time highs relative to the HUI [New York Stock Exchange gold index] gold and silver index,” said Bridges. Shares in B2Gold are up about 12% on a 12-month basis. The company is currently capitalised at C$4.2bn (US$3.2bn).